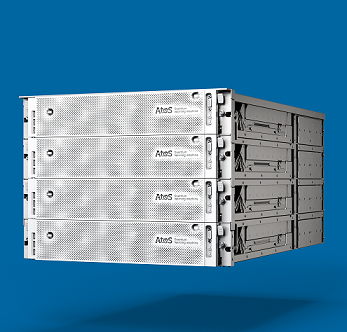 12 Nov 2018 Paris, Irving - Atos, a global expert in digital transformation, has entered into a contract with Argonne National Laboratory to deliver its latest Atos Quantum Learning Machine, the world's highest-performing commercially available quantum simulator. The 35-qubit Atos Quantum Learning Machine will help accelerate research efforts at the science and technology powerhouse. Argonne, a U.S. Department of Energy (DOE) Office of Science national laboratory, focuses on computation, modelling, and simulation as a key component of its research efforts. Argonne's high-performance computing systems also provide computing power to advance pivotal discoveries and understanding in a broad range of disciplines, helping solve some of society's most complex problems. "The Atos Quantum Learning Machine allows us to leverage our expertise in scalable algorithms across many science applications to explore the impact of quantum computing on key areas such as quantum chemistry and quantum materials", stated Rick Stevens, Associate Laboratory Director at Argonne National Laboratory. "Argonne recently expanded its research program into the areas of quantum error-correcting codes and quantum networks. This now allows us to utilize the Atos Quantum Learning Machine to explore effective fault tolerance methods as well as demonstrate the power of distributed quantum computing and other applications of quantum networks." "We are working with the scientific community, and leading institutions like Argonne National Laboratory, to provide engineers, researchers and scientists tools such as the Quantum Learning Machine that allow them to focus on their applications and algorithms, without having to wait for actual quantum machines to be available", stated Ludovic Sauvage, Head of Big Data Services, HPC and Quantum Computing, Atos North America. "Moving forward we expect quantum computing to foster developments in deep learning, algorithms and Artificial Intelligence for a variety of domains, and the tools we provide today will help drive those advancements of tomorrow." In November 2016, Atos launched an ambitious programme to anticipate the future of quantum computing and to be prepared for the opportunities as well as the risks that come with it. As a result of this initiative, Atos was the first to successfully model quantum noise. To date, the company has installed Quantum Learning Machines in numerous countries including Austria, Denmark, France, Germany, the Netherlands, and the United States empowering major research programmes in various sectors.